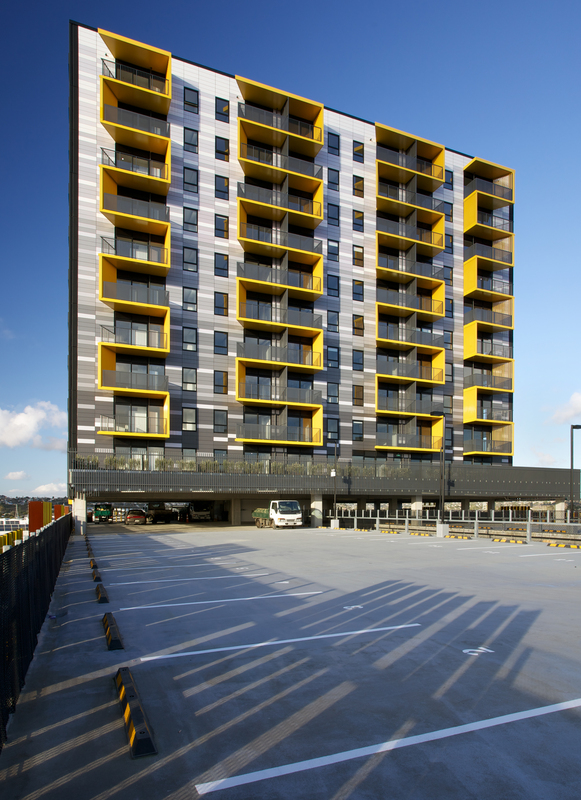 New Zealand-based architects Jasmax have a guiding philosophy that states, “Design has the power to inspire the spirit.” Their design of the New Lynn Merchant Quarter Apartments is a testament to that philosophy. Sitting in Auckland, the bold façade underwent a series of restrictions related to its height, specifically the building’s visual impact on the area’s residents. 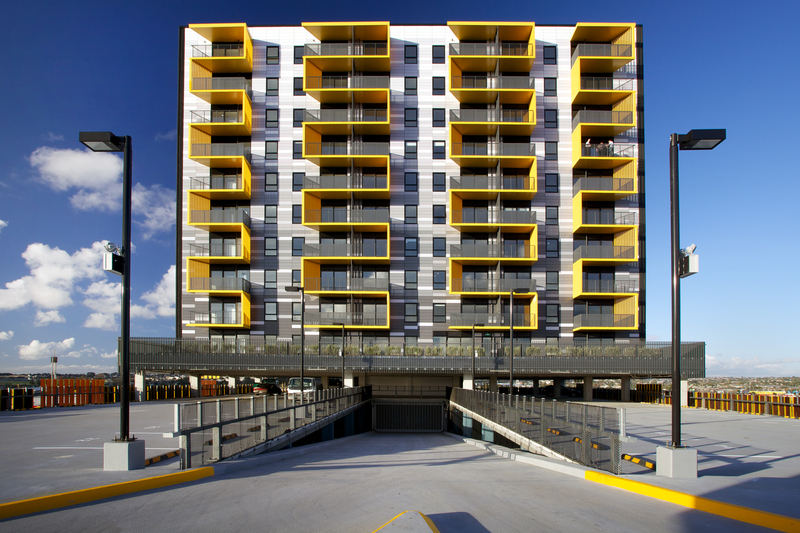 Prompting the architects to design a bold but elegant building in an area that is characterized by low-rise buildings. Interestingly, the architects first explored HPL as the primary building material due to its ability to provide the “random look” they were trying to achieve with the exterior panels. 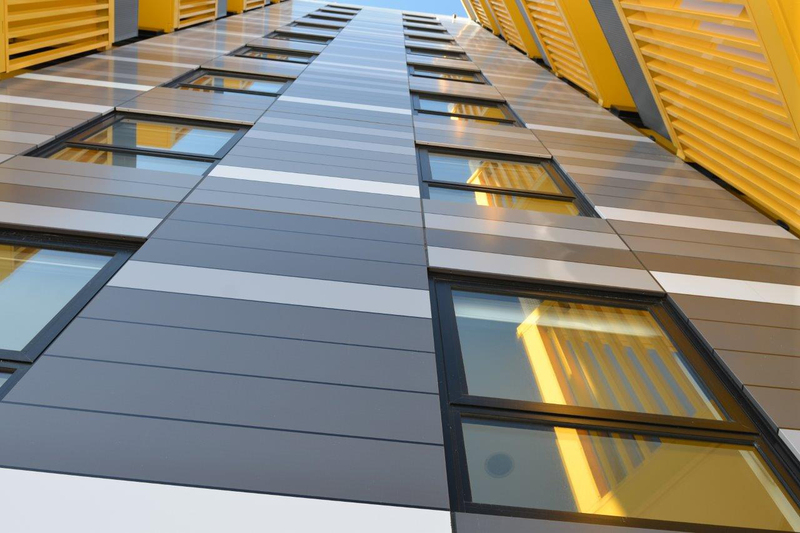 The team at Alucobond met with Jasmax to discuss the ‘Alucobond Design’ solution, which provided the same aesthetic at a lesser cost to both manufacture, and to install. 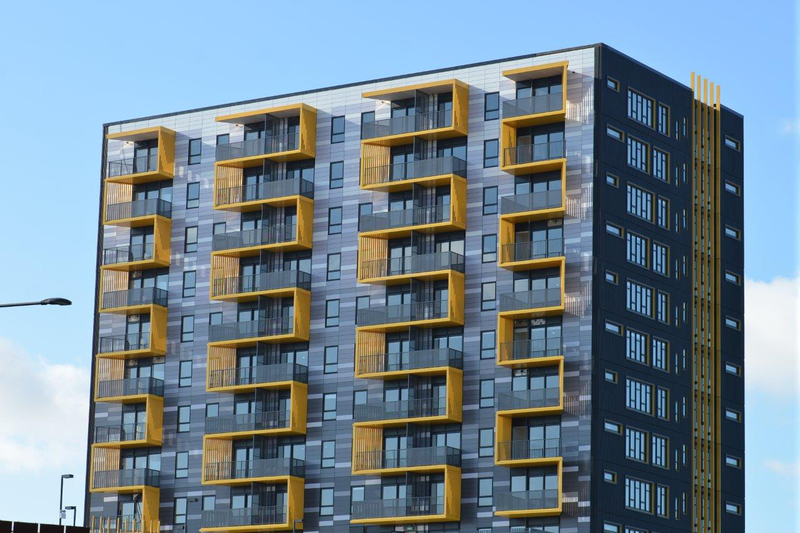 Utilizing ACM also gave the architects more color variety and they decided on six custom shades that were painted into a single panel. This created the look of six individual panels, while only utilizing one. Jasmax designed the entire Merchant Quarter, which features two long buildings and the one residential tower. 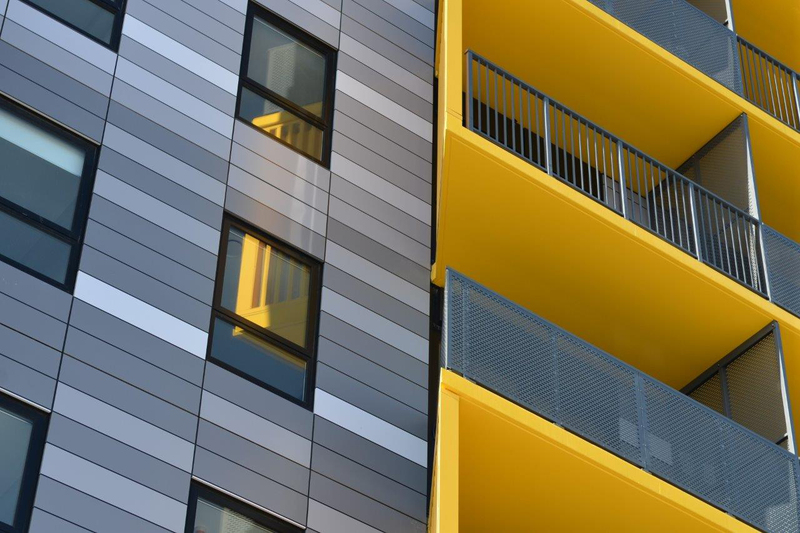 All clad in different materials, each building has its own identity. With growing real estate investment, there is also an investment in New Lynn’s public transportation. The purpose of these investments is to appeal to a young generation who will seek to stay and work within New Lynn or have the ability to work outside the city. With stunning affordable housing, easily accessible public transportation, new shops, cafés and ample parking, the area provides an abundance of attractive amenities.